Great to bump into David Denton this morning. I've known David since I was a little boy as he used to clean our windows, and also deliver the morning papers, and in summer he sold ice-cream from a large coolbox on his bicycle. I particularly remember him also delivering a long defunct paper called The Pink-un. He came round with about 7pm on a Saturday evening. It had all the football results and included reports of non-league games, including The Eagles (Bedford Town), the team I followed then. It was good to have a chat with him whilst he was having his cup of tea after having cleaned the windows of my barber's (sorry, stylist). David is now 74 years old, he gets up at 5am every morning, has never had a holiday, and has never left Bedford! 'Have you never been to London?' I asked with some surprise. 'No, and why would I want to?' came his matter of fact reply. Hard to argue with. He's certainly content and enjoys his work. 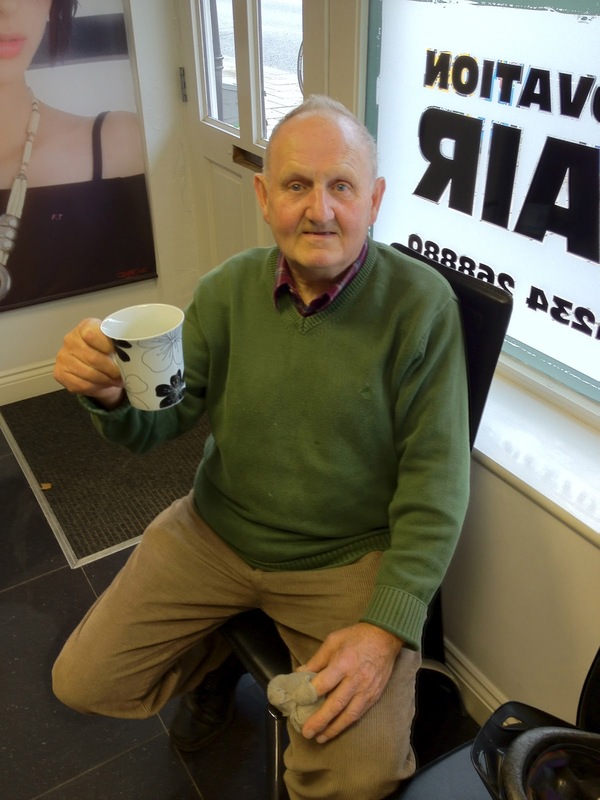 He has a daily chat with his various clients in the town centre and gets satisfaction from providing a good service. A blast from the past indeed, and perhaps a reminder that valuing your community and contributing to it over the long run, brings contentment. Our well travelled, very mobile, commuting society have much to unlearn.